I will wrap anything in seaweed and eat it. No really, I will. Wrapping my salad in seaweed made better sense at the moment than masticating over a plate of greens. There’s nothing wrong with it, but sometimes I just need something to sink my teeth into. 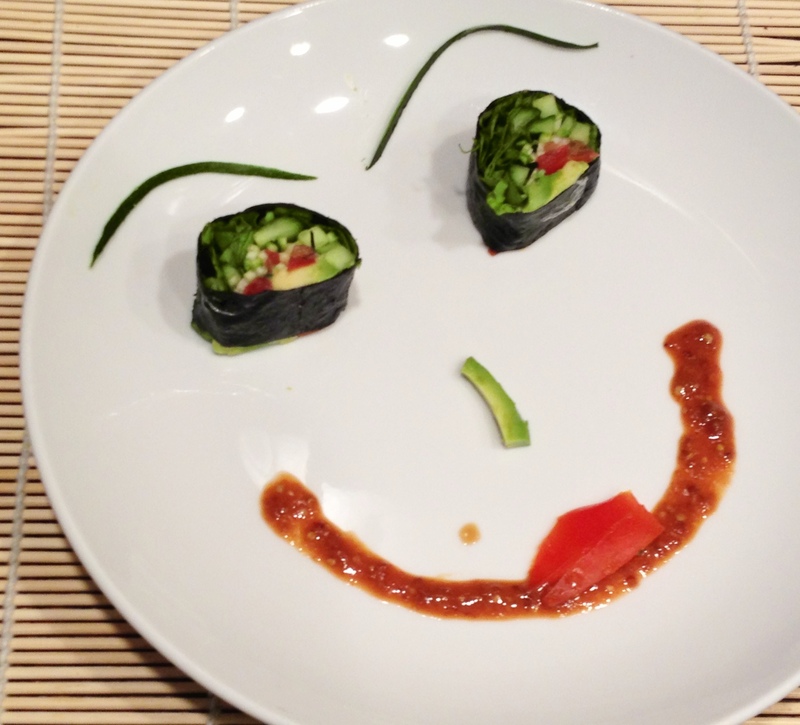 The best part about this dish is there is no special ingredient required except for seaweed wrappers. 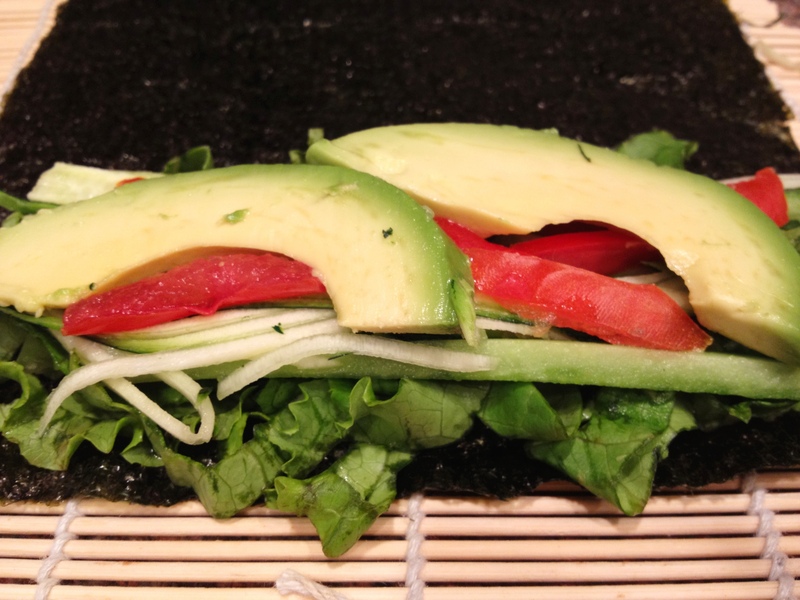 Next time you’re about to toss up a salad consider its sushi-wrap potential. The possibilities are endless!